I was sooooo excited for our baby's first Christmas! I saw this adorable hat on Pinterest and wanted to make my own for Selah... but alas, I was lazy and didn't feel like knitting one from scratch. Wouldn't Selah look absolutely adorable in this?! Right, I know. 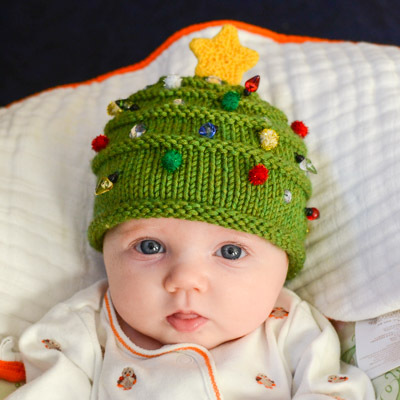 Lo and behold, I found a green, knitted baby hat in the thrift store one day! I snagged it for less than a dollar. :) It's not solid green with the horizontal ribbing to make it look like a tree, but hopefully still workable. I went to Hobby Lobby and found some glitter foam star stickers in the craft foam aisle. I took the wax backing off the sticker and stuck it to regular computer paper. I coated the entire star with Mod Podge so that the glitter wouldn't get everywhere. I also found some little mini bulbs in the holiday crafting section and some sparkly mini pom poms. 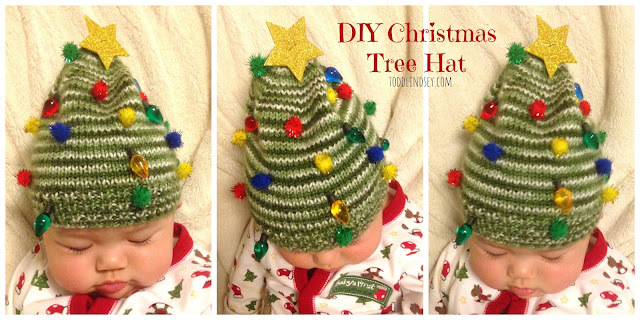 I sewed each item on very snugly so that they couldn't be yanked off the hat. And there we go! 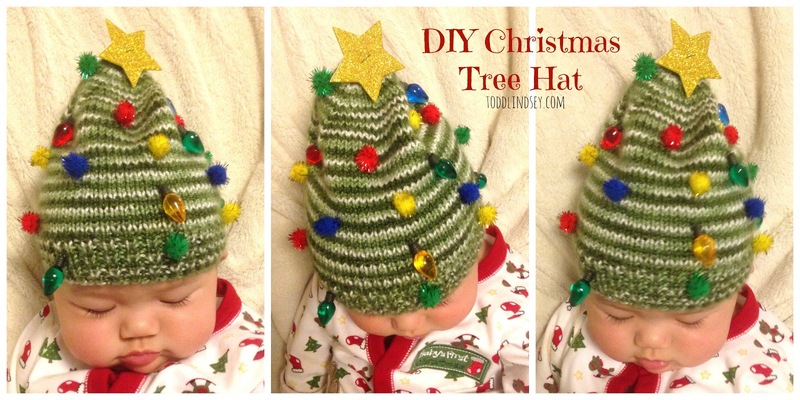 A cheap-o Christmas tree hat! An important note: Do not leave your child unattended with this hat, unless of course, they are older and understand the whole do-not-put-little-pieces-in-your-mouth-and-eat-them concept. Another important note: Do not put this in the washing machine unless you want the star to fall apart and get glitter all over everything, including your precious washer. I recommend spot cleaning. And on a slightly different, yet slightly related note, isn't this one just adorable too??? Maybe if I ever pick up knitting again... or learn to crochet, I can whip one of these up for next year. Gah! I just love the holidays. 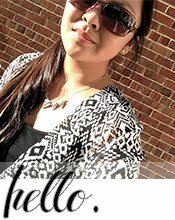 :) Hope everyone had a very Merry Christmas season!